Ever feel like sleeping on a cloud? This wholly organic 14-14½" mattress is at the top of Royal-Pedic's line. 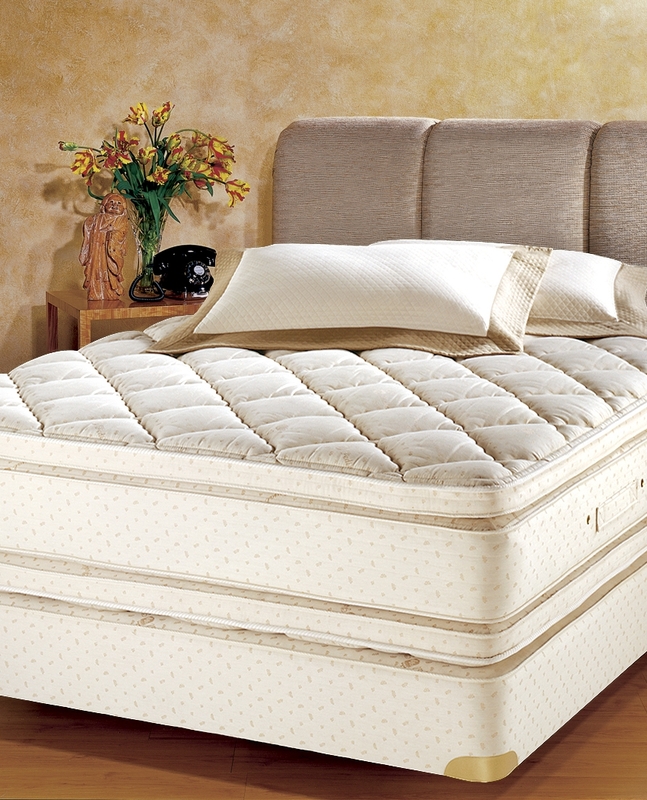 Built-in 3¼" pillowtop pads surround what essentially is Royal-Pedic's Premiere Natural Organic Cotton Mattress. The buoyancy of Talalay latex and springy, pre-compressed wool combines with a firm, supportive innerspring unit to keep you afloat throughout the night. 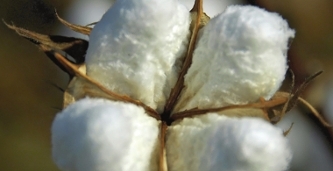 As with a Royal-Pedic Organic Cotton mattress, this mattress contains more than 50 lbs of pre-compressed, hand-layered American grown staple cotton padding (in a King sized mattress). It surrounds and supports Royal-Pedic's latest pocketed innerspring unit. A queen sized mattress contains more than 950 open-ended, unknotted, and double heat tempered coils, each with six-turns a piece. Built-in pillowtop pads, about 3" - 3½" a piece, are attached to each side of the mattress. Each pad contains untreated wool wrap sourced from organically-fed sheep in France, as well as a ~2½" thick layer of all natural Talalay latex. All materials used within these mattresses are not only hypoallergenic, but also natural, completely chemical free, and in most cases organic. Optionally choose to receive "detached pillowtops," and we will order for you an Premiere Natural Organic Cotton mattress with two Premiere Natural Organic Pillowtop Pads which are mostly the same as those which come attached to the Royal Cloud Pillowtop by default. The built-in pads are convenient and built specifically for this mattress; however detached pads are particularly ideal for those who wish to experiment with firmness on their own. For example, you may find that one pad is sufficient on it's own, and you can keep the other pad as a future replacement (or use it on a guest bed). Those looking for an extra-plush bed may decide to place one pad on top of the other on top of the mattress. An organic version of Royal-Pedic's best-in-class 8" Double Diamond box spring optionally completes the set. It features extra strong 8¾" gauge springs and 50% more coils in the middle third section for enhanced lumbar support. Note that failing to purchase the box spring can situationally void the warranty. We also recommend flipping the mattress every six months; the mattress is heavy so you may need to hire someone for the task.